Eminem drops this new joint that is set to appear on the Jay-z & Eminem Edition of the highly anticipated “DJ Hero”. “DJ Hero” is a turn-table simulation similar to “Guitar Hero” that will be hitting consoles October 27th. Of course Hip Hop heavyweights will have their own game. “Taking My Ball” sounds like the typical “first single by Eminem” track filled with a accented rap delivery and comical, sick lyrics. 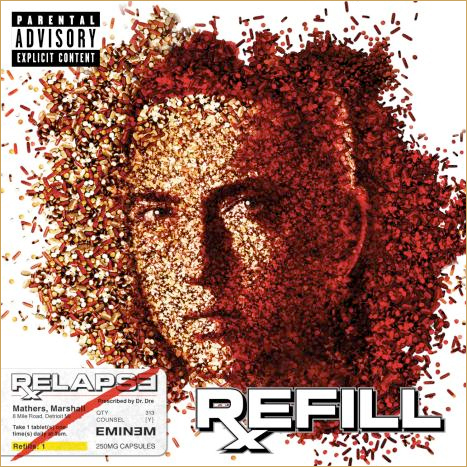 This joint is strictly for the “DJ Hero” game and not for his second album this year, Relapse 2. Both Relapse 2 and 50’s Before I Self Destruct are rumored to be released on November 17th. Seeing is Believing 9/22 – New Drake Forever Video! Drake drops the video for the much talked about “Forever” track with Kanye, Wayne, and Eminem. The video was filmed by the legendary Hype Williams, and will appear on the soundtrack to the upcoming Lebron James documentary titled “More Than a Game”.